Durable, reusable assets need to be maintained. This typically involves both preventative maintenance and repairs of damaged assets. TrackAbout’s maintenance tracking software features keeps track of the details so you can focus on serving your customers. What problems does asset management software solve? What maintenance has been performed on this asset? What maintenance is coming due on this asset in the future? How much maintenance am I doing in general? What are the steps to perform a certain kind of maintenance action? How can I ensure that my people are following the right maintenance procedures? How does maintenance tracking software work? Go to the website to view reports of maintenance performed on your assets or to see the maintenance history of a single asset. Set a date for when the next maintenance is due for an asset or setup a schedule for periodic maintenance for a kind of assets. Track the maintenance status of your assets and block an asset from being used when it is flagged as needing a repair. 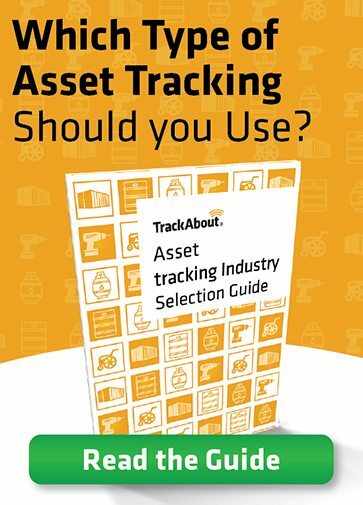 TrackAbout knows that different assets have different maintenance needs. Use TrackAbout’s Dynamic Forms module to create custom forms that explain exactly what to do and what steps to take for each kind of maintenance action for each kind of asset. You know your business. TrackAbout works how you work. Learn about more of TrackAbout’s features such as Compliance and Lot Traceability.